It is Tuesday night in the Klausberg ski arena. This can only mean one thing: Nightly tobogganing! Between 7.30 pm and 10.00 pm, our cable car brings you up to 1.600 meters above sea level. Up there, a 5 kilometers long toboggan run is waiting to be driven on. Sit down on two runners and drive down the slope and enjoy the night sky right down into the valley. 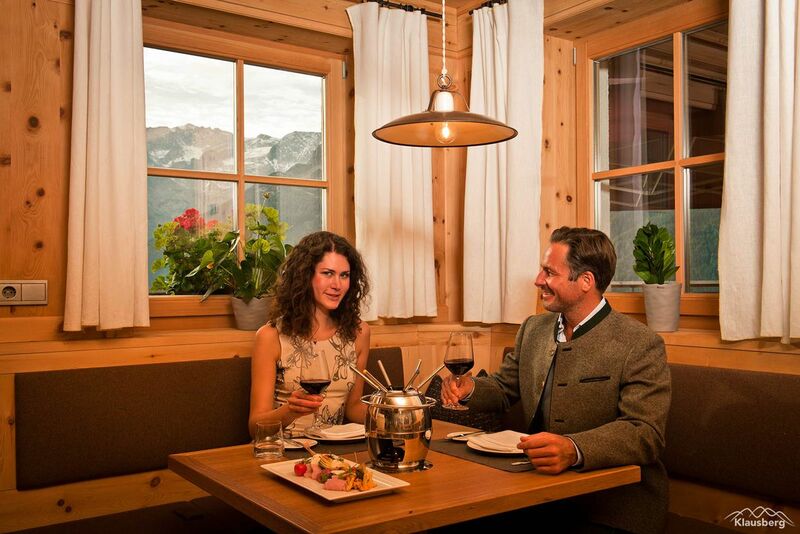 For the gourmets among you: Coincidentally, the fondue evening in the Kristallalm takes place simultaneously. Taste and entertainment meet every Tuesday. At Klausberg you can end your day in different ways. Start with an exciting day at Klausberg and then enjoy a cheese fondue in the Kristallalm. Preorder your cheese fondue for Tuesday between 7.30 pm and 11.00 pm.